Very nicesubmitted by Danielle C. - Jan 23, 2019 |Recommended: YesEverything so far has been good. A few minor hiccups but other than that not bad. Modern, Stylish, Convenient, Spacious, Good Valuesubmitted by Nathan L. - Aug 27, 2018 |Recommended: YesI also posted this review on Google Ok, listen. Before you read any more of this review, why are you even reading apartment reviews on Google Almost every single complex has a terrible rating because everybody has problems with their apartment. Once you get past all the fake reviews usually the ones that gush about specific people in the office , you're left with nothing useful. Bottom line you'll never find a perfect property.  That being said, when my wife and I were touring all of the major apartments in downtown Phoenix, we were the most impressed with Linear. It's a two-year-old building. It's attractive. There's a workout facility and garage parking, as well as a 2nd floor rooftop pool and outdoor courtyard. It's got most of the bells and whistles all of the other places downtown can offer you. For my wife and I, Linear gave us all of those things at the right price. Honestly, what sold us the most is Ivory's professionalism. She's the GM, and has been tremendously helpful throughout this whole process. We wanted a very specific apartment cabinet color and layout, and the staff Ivory and Nicole communicated with us long-distance for weeks and weeks in advance of our move. They bent over backwards to get us the exact apartment we wanted. Move-in was hassle-free, and the apartment had just a few tiny issues upon inspection. We love it here so far 1 1 2 months in , and if any of that changes, I'll be sure to update my rating. I have zero complaints, which really is rare - I've had crummy apartment rental experiences in the past. Linear didn't ask me to write this review, and I'm not doing it for any other reason than to let everyone searching for an apartment here to give them a shot. Great Urban Phoenix Livingsubmitted by Nathaniel K. - Jul 22, 2018 |Recommended: YesLinear provides urban living with an amazing location in the Heart of Phoenix. The apartment is centrally located and within walking distance of major attractions and events in the Roosevelt Row Arts District and Downtown. Property amenities like a gym, pool, rooftop patio and grilling areas add to the quality of living.